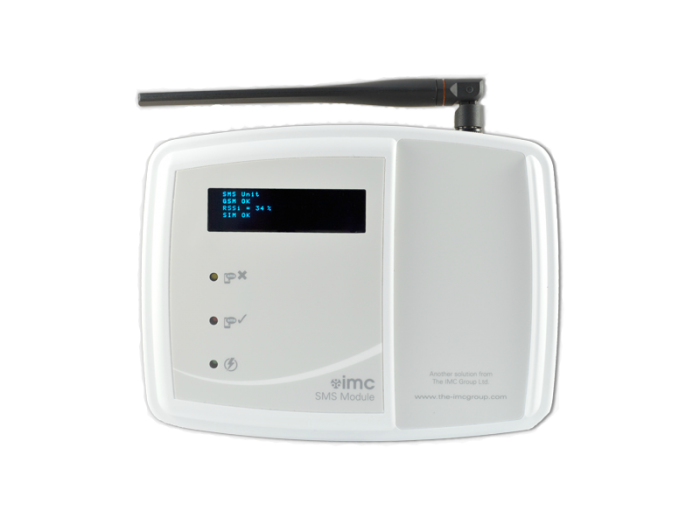 The SMS Module is an optional add-on to provide out of condition and/or system alarms generated from the wireless monitoring system via SMS text message. Alarm groups are set within the software allowing specific types of alarms from specific sensors to be directed to individuals or groups. This can be further refined by specifying days, and times within those days, that alarms should be sent to the members of any particular alarm group. IMC SMS Unit is not suitable for use with PrePaid “Pay As You Go” Sims. For more information about Sims available, please contact us. In the event of communications failure to network or power failure, the unit will send emergency failure messages independently.